Nonprofit organizations that receive charitable donations can partner with local bank branches to access coin counting machines and turn collected change into more readily accessible capital. 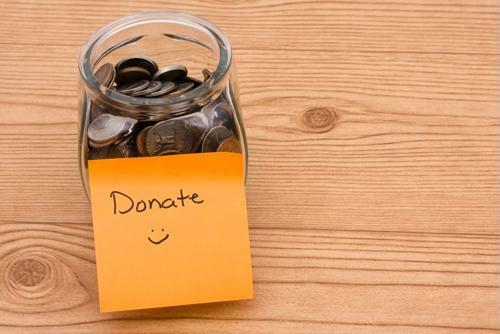 Despite the growth of electronic transaction technology, traditional fundraising efforts such as coin drives and donation jars are still a popular way for communities to come together and raise money for certain causes and groups. While individual contributions are often relatively small, collections can add up over time and present charitable organizations with a substantial amount of income to work with. However, finding a way to easily convert change into cash or savings is harder than it sounds. Relying on employees to manually sort and count coins isn't the most efficient use of resources. In fact, this process could take hours. The best option is to work with a financial institution to access coin counting machines that speed up the process. The Hibbing Daily Tribune, a newspaper based in Hibbing, Minn., recently reported on the local community's efforts to raise money for the Hibbing Food Shelf. The article said the organization has run out of stock from a previous collection drive, but nearby elementary schools and other institutions have since started gathering donations in the form of loose change or actual canned goods. Coins are also the focus of a new fundraising effort at Leeds Bradford Airport in the United Kingdom. According to the Ilkley Gazette newspaper, airport staff will be collecting loose change from travelers and then donating it to local hospices and charitable organizations. In the U.S., banks that install coin counting machines in their lobbies can provide a much-needed service to nonprofit groups that depend on regular donations. A recent Cummins Allison case study found that using automated machines to coin change allowed tellers at one local establishment to cut the time it took to sort and count this money by nearly 100 hours over a 31-day period.